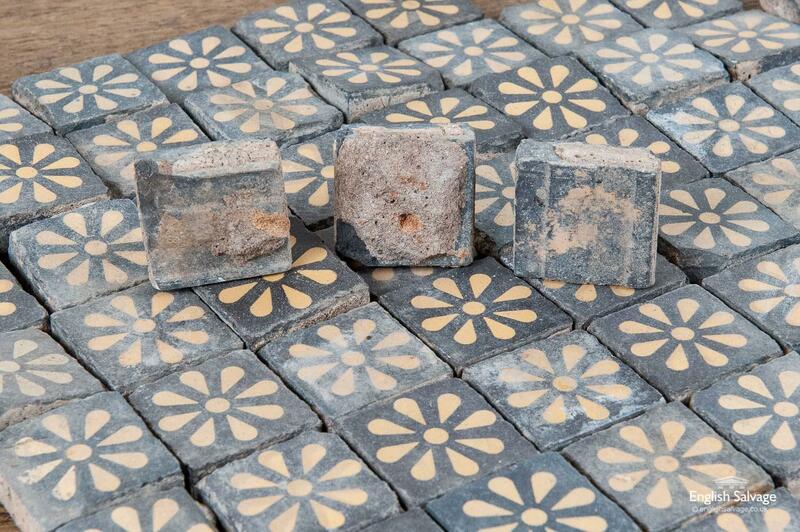 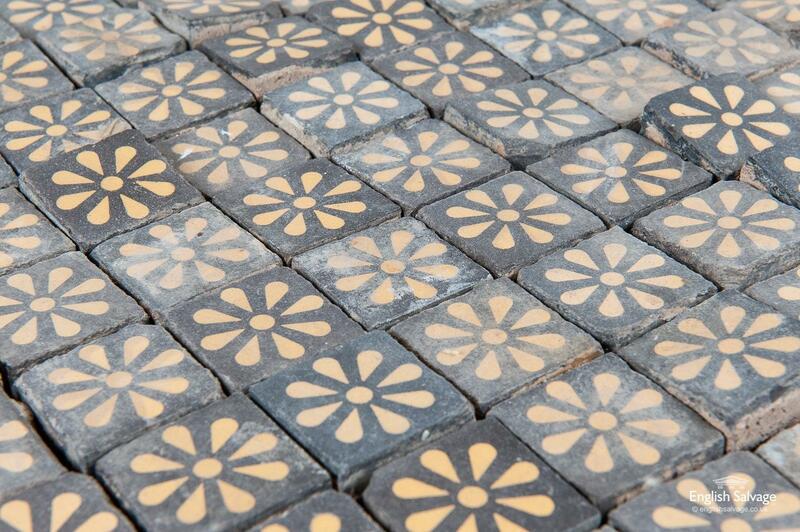 Quantity of original encaustic tiles ideal as inserts or to create a mosaic. 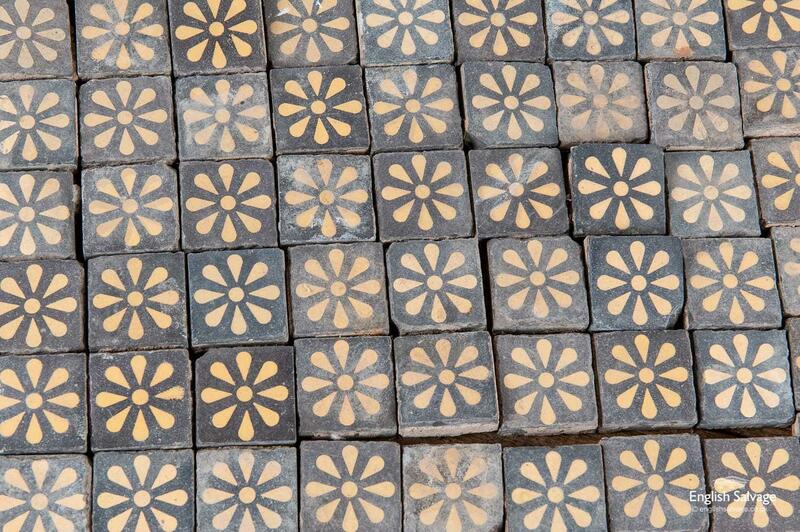 Of the black and cream floral design there are 83 complete tiles priced at £4 each, 5 chipped and 56 halves, priced at £3 each. Also shown are some slightly larger red / terracotta and cream floral tiles, if intact they would be approximately 5.4cm square x 1cm thick however all of these are in damaged, amounting to 24 pieces in total. 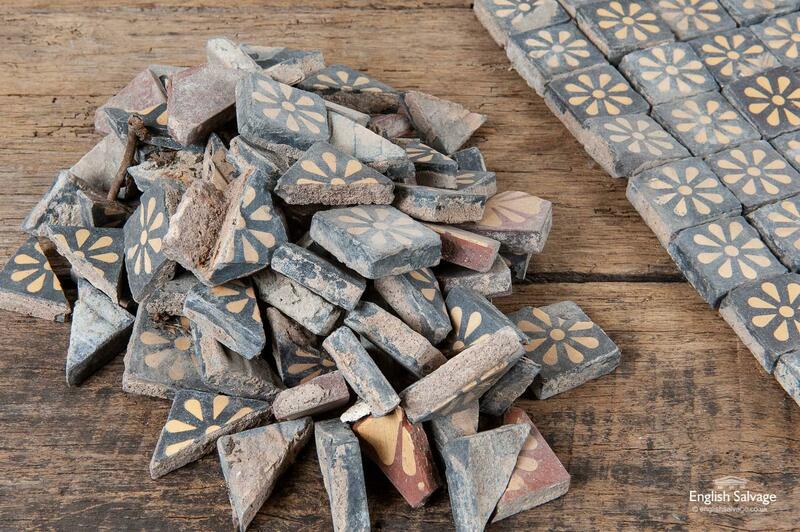 Chips and old mortar present to many commensurate with age and use.